Handy bottle opener for screw caps! Patented screw cap bottle opener in an elegant and practical oval design that fits right into the palm of your hand. Takes up very little space in a pocket, a purse or in a bag. 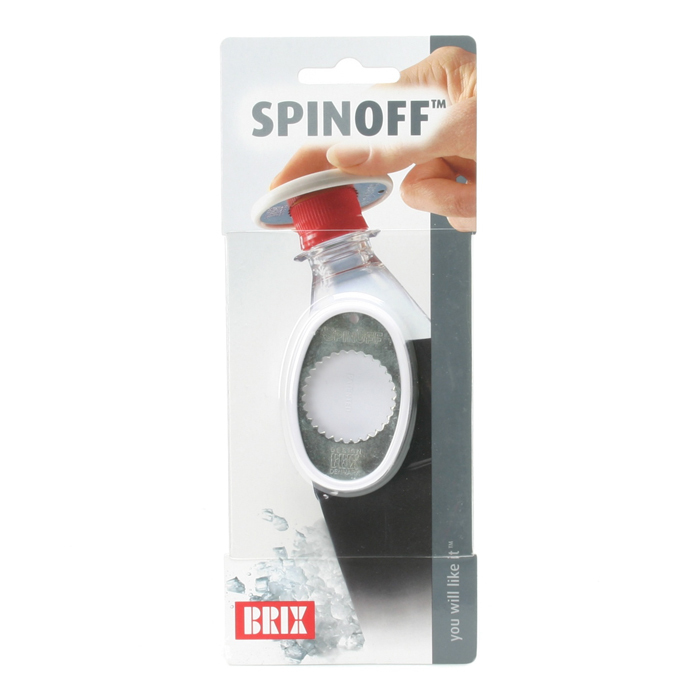 Place the SpinOff on top of the screw cap and turn off the cap. Due to the oval shape of the SpinOff your grip is much firmer and stronger. 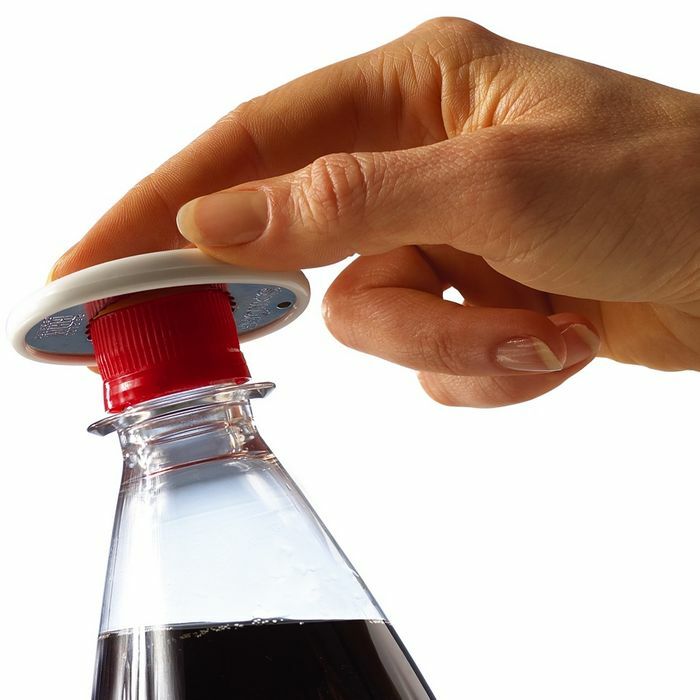 Fits all the standard size screw lids for soft drink bottles. SpinOff is made of high density ABS plastic and nickel-plated steel. It has no sharp edges or points, no moveable parts, and is extremely durable.